Rivers support a diverse range of living creatures that interact within a dynamic food web. Understanding the relative roles of different forms of carbon along river systems has important implications for how rivers respond to catchment and riparian degradation. Research by Dr Wade Hadwen and his colleagues discovered that it is the algae that grows on cobbles, logs and other substrates which fuels the entire river food web. Their study, conducted in 2010 as part of the eWater CRC Project ‘In-stream processing of constituents’, shows that both dissolved organic carbon (DOC) and algal carbon are critically important drivers of ecosystem processes in Australian riverine ecosystems. The findings provide important insights for catchment managers and modellers. In identifying consistent longitudinal trends in river function, the researchers have helped illuminate key principles underpinning the functioning of ecosystems in Australian rivers. Until now, the prevailing wisdom on carbon in rivers was that the relative contribution of algal sources to food webs varied according to the position in catchment. For instance, in heavily shaded headwater streams where light for photosynthesis was limited, contributions from algal sources were predicted to be relatively minor. The new research, published in River Research and Applications, refutes this. Algal carbon is the dominant source of carbon for macroinvertebrates and fish all the way from headwaters to lower reaches. And it is the bottom-dwelling (benthic) algae that are the major powerhouses. 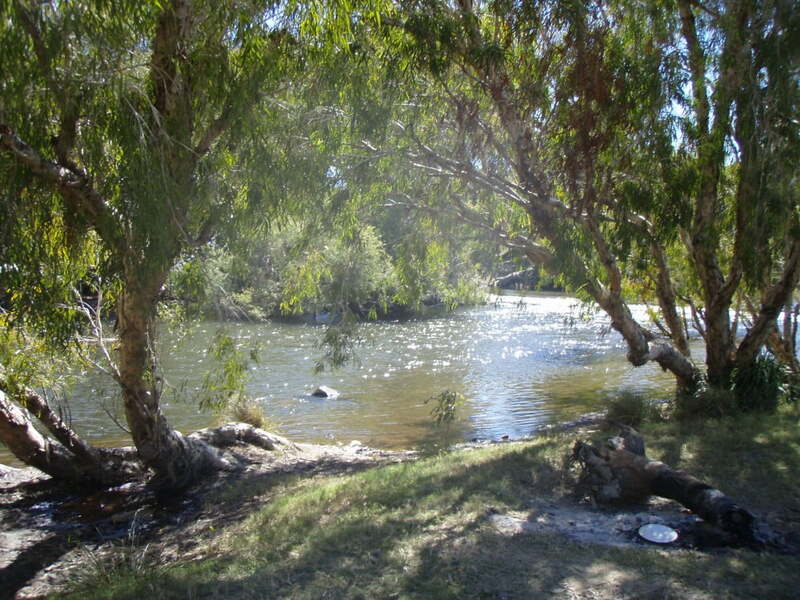 Hadwen and colleagues from Griffith University, the New South Wales Office of Water, La Trobe University, and CSIRO’s Murray–Darling Freshwater Research Centre studied three very different rivers – the Ovens in Victoria, the Gwydir in New South Wales, and the Logan in Queensland. The rivers were all in low flow conditions because of the big drought affecting the study areas in 2006. The team collected physical, chemical, nutrient, microbial and food web data in various representative parts of the rivers. They evaluated microbial extracellular enzymes, dissolved organ carbon bioassays, and food web analyses (based on carbon stable isotope signatures) and examined changes in the relative importance and processing of carbon and nutrients along the lengths of each river. The researchers were surprised to find that carbon cycling, both by microorganisms and higher-level life forms, was largely unaffected by nutrient concentrations. They found that at all sites, the bioavailability of DOC limited microbial production and benthic algal carbon sources fuelled aquatic food webs. Their lab-based bioassays showed that the productivity of microbial communities was always strongly limited by the availability of DOC. This held true even though their study sites ranged from very low to very high nutrient concentrations. In other words, irrespective of whether dissolved inorganic nutrients were at high or low levels, microbial respiration was always strongly limited by the availability of DOC. For river and catchment managers the message is clear. Both local and catchment-wide processes can influence the source, type and quantities of nutrients and carbon reaching riverine environments. Even so, the way Australian rivers process carbon is likely to be remarkably consistent, with DOC-limitation of microbial production and benthic algae serving as the fuel for aquatic food webs everywhere. These findings indicate that Australian rivers are incredibly robust and consistent in their functioning. Whilst nutrient concentrations do not appear to change these processes, the research indicates obvious water quality and algal bloom consequences associated with high nutrient concentrations, so efforts to reduce nutrient loads in riverine ecosystems are still incredibly important. This blog is slightly modified from an article in H2O thinking produced by the former e-Water CRC.